If you have children of different ages, you know how challenging it can be to find places to go that keep everyone happy. Most museums may be appealing to school-aged kids, but leave younger kiddos tired and whiny. And while playgrounds can easily entertain the little ones, older kids might be interested in exploring beyond the sandbox. 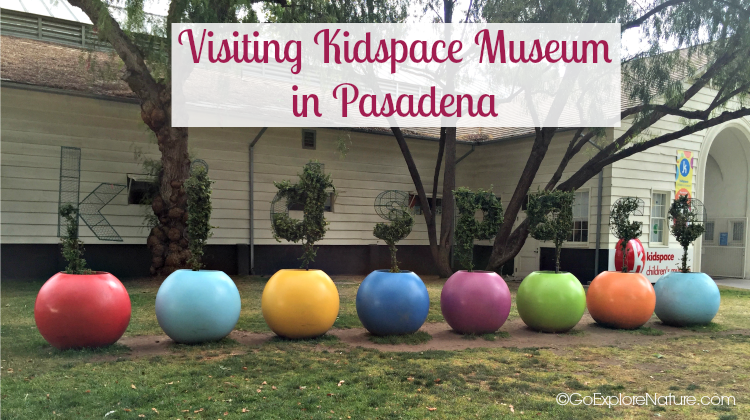 If this scenario sounds familiar, this parent’s guide to visiting Kidspace Museum in Pasadena is for you. Kidspace is designed for kids ages 1 to 10. And even though it’s a museum, everything here is meant to be touched, poked, prodded, manipulated and investigated by kids – to help turn them onto nature, science and the world around them through play. 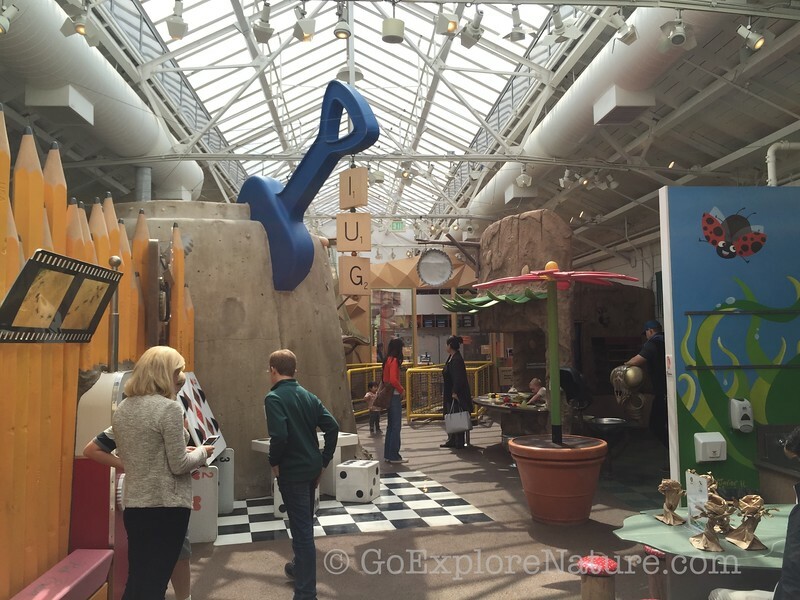 The indoor exhibits are best suited to younger kids (say, 5 and under) and include climbing towers, an imagination workshop and an art center. 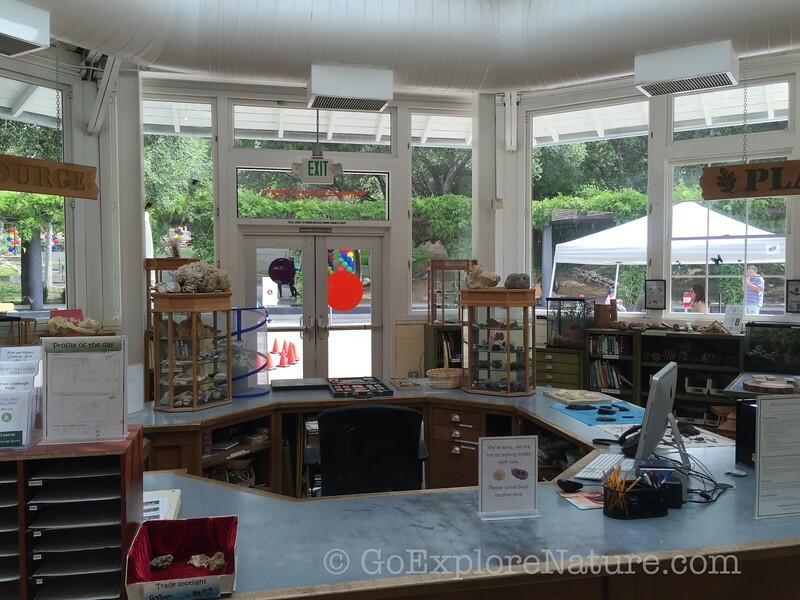 Our favorite here is the Nature Exchange – a place where you can bring in your own objects from nature (like shells, rocks, minerals or soil) and trade them to Kidspace educators for points. Then you can use your points to trade for other objects. Even if you don’t make a trade, there is plenty to see and touch here, including all kinds of nature books, samples and even a few cool live critters. 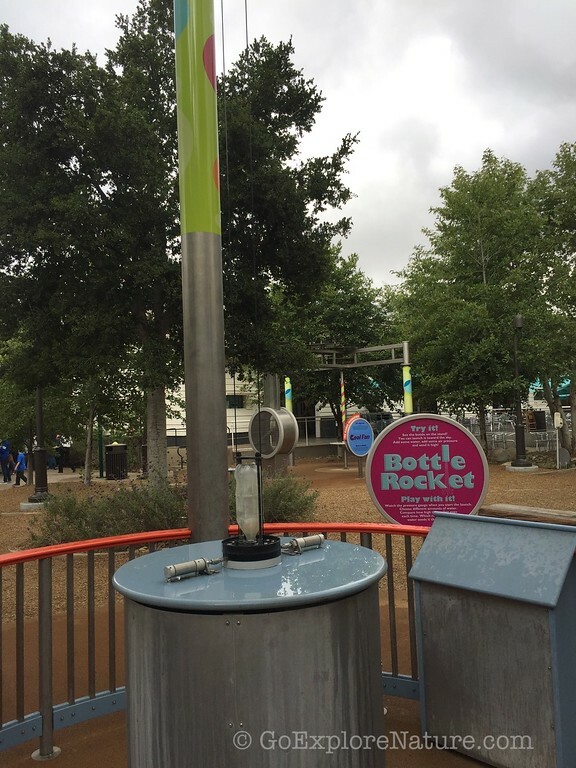 Outside, there is the Galvin Physics Forest, which features 12 hands-on exhibits – each one demonstrating a basic principle of physics. For younger explorers, there is the Wisteria Courtyard, which includes a tricycle track that my kids could enjoy for hours. And climb to the highest point of the Hawk’s Nest for treetop views. This area can get pretty warm on hot, summer days and there isn’t a whole lot of shade. The good news is that there are ways to cool off, so be sure to pack along a towel and a change of clothes. Best time to go: Spring – when it’s warm enough to enjoy the many water activities, but cool enough to still be comfortable. During the school year, the best time to visit is afternoons between 1:30 and 5 p.m. (Before you visit, check to see if it is a peak, high, moderate or low field trip level.) On weekends, choose Sundays over Saturdays. Don’t miss! 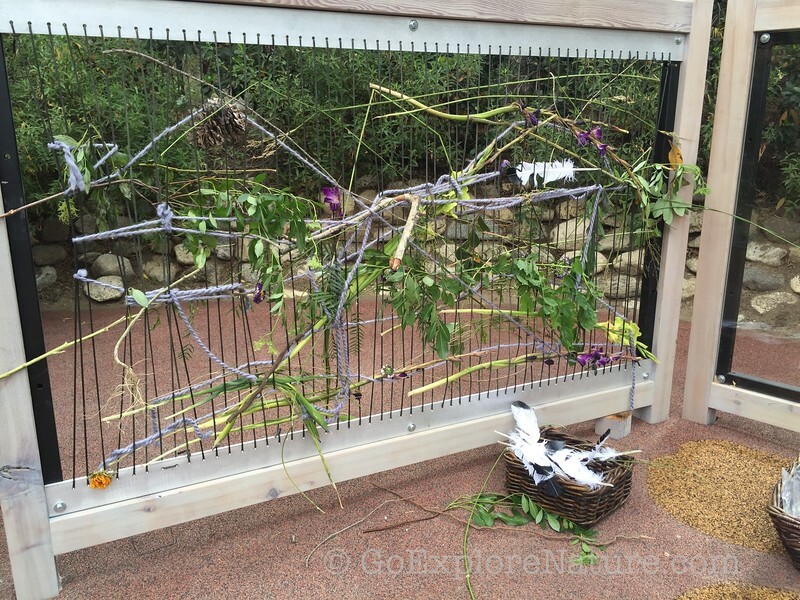 : The outdoor space – there’s a lot to see and do so be sure to leave enough time to explore. Or start in the outdoor space and work your way forward to the indoor exhibits. 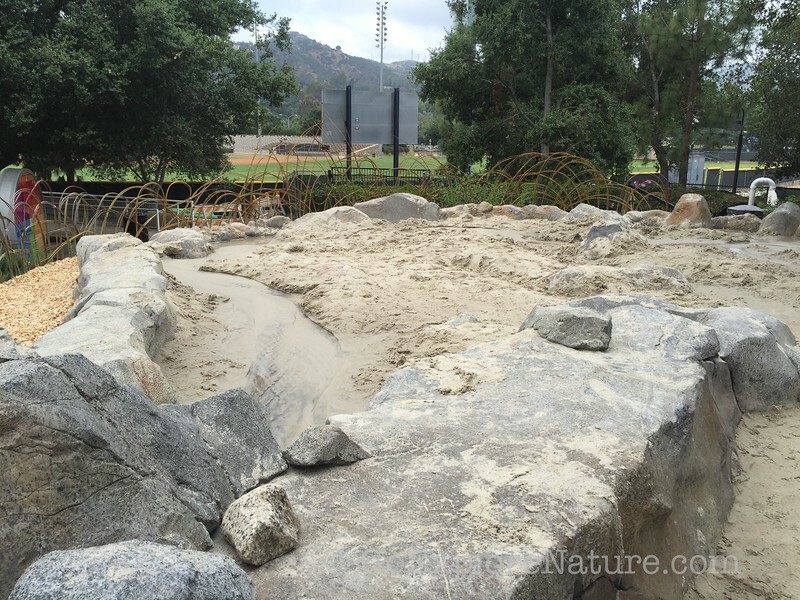 Bring a towel and a change of clothes: Water, mud and sand are part of the fun at Kidspace! Bring clothes appropriate for messy play, a towel and something to change into. Keep in mind that shoes must be worn at all times (even in the water exhibits). If you’ve got kids of different ages, bring along some help. This place is very hands-on. Kids of different ages have different skills, abilities and interests. You might want to bring along an extra set of hands (and eyes) so you aren’t worried about trying to keep an eye out for multiple kiddos. Cut costs by bringing a picnic lunch: You can eat inside the Museum’s central courtyard or in the park in front of the Museum. 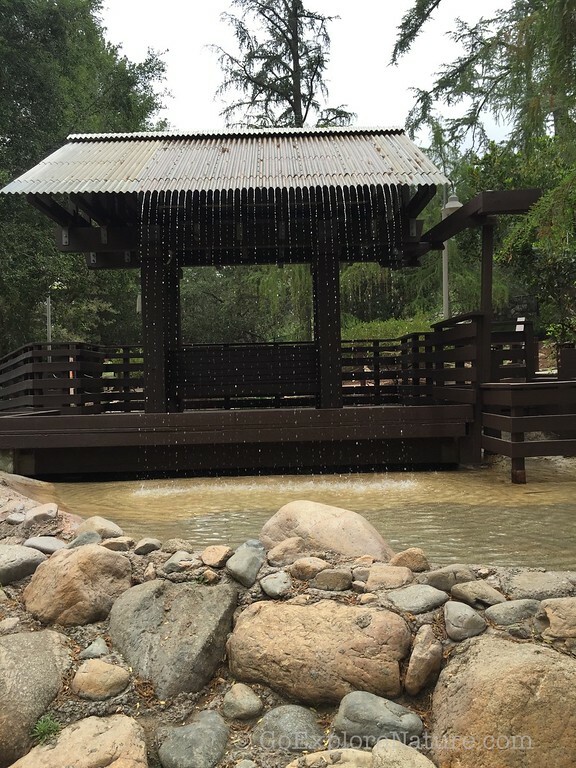 If you still have some energy after visiting Kidspace, the 62-acre Brookside Park is right next door. There are picnic tables, playground equipment, and lots of grass to play on. What a wonderful place! 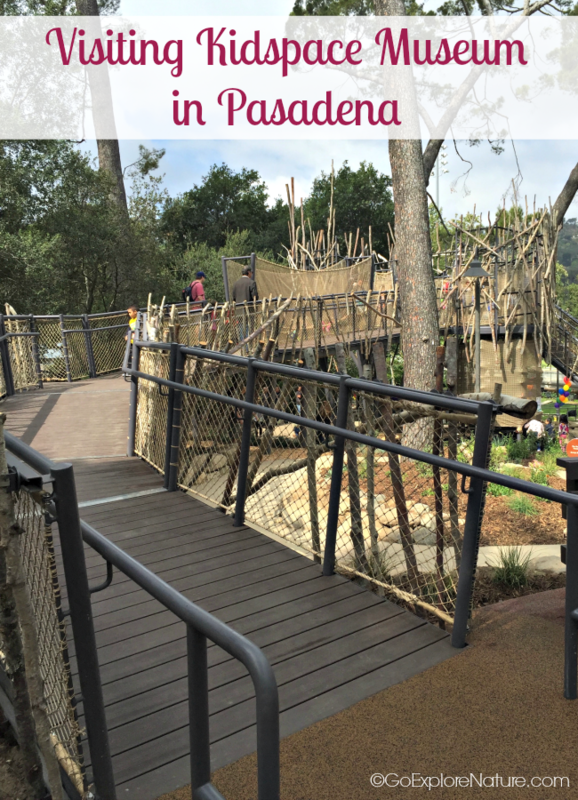 I just love all the outdoor/nature spaces they have for kids — great details in your review too, very helpful!